As if he wasn’t busy enough creating the 2016/17 Yearbook (which the club is launching with a special event at the clubhouse tonight) and finishing his masters degree at Manchester Metropolitan University, Lew Currie has spent the summer working on another project: the redesign of our programme front cover. Starting with our opening league game of the season this Saturday against Widnes, Lew’s new design – which draws from a similar inspirational well as his recent work on our Season Ticket – will be in place for each league game. 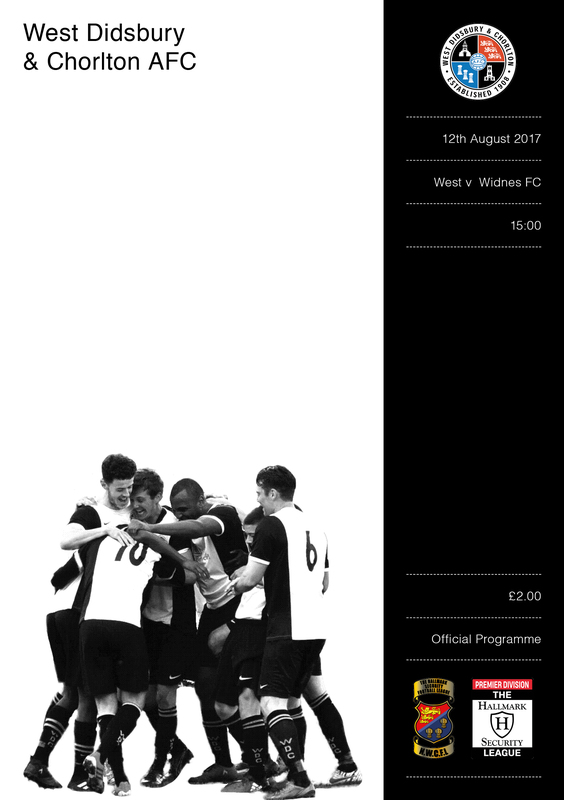 The cover for the Widnes game – which you can see below – features Saul Henderson, Scott Mason, Nia Bayunu, Jimmy Woodward and Anthony Potts celebrating with Fans’ Player of the Season winner Matty Kay: the kind of scene we’re hoping that supporters will be experiencing a lot at Brookburn Road this season. Programmes are available on the gate for £2.